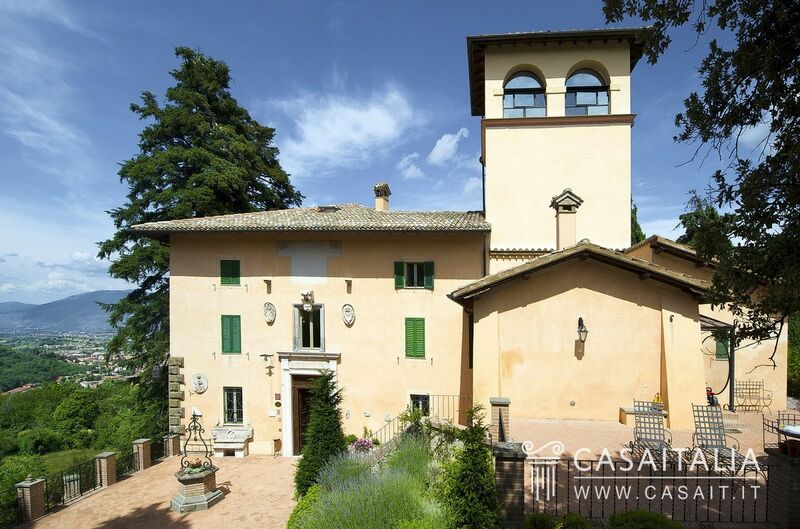 Period villa in panoramic location, 1.4 km from the centre. 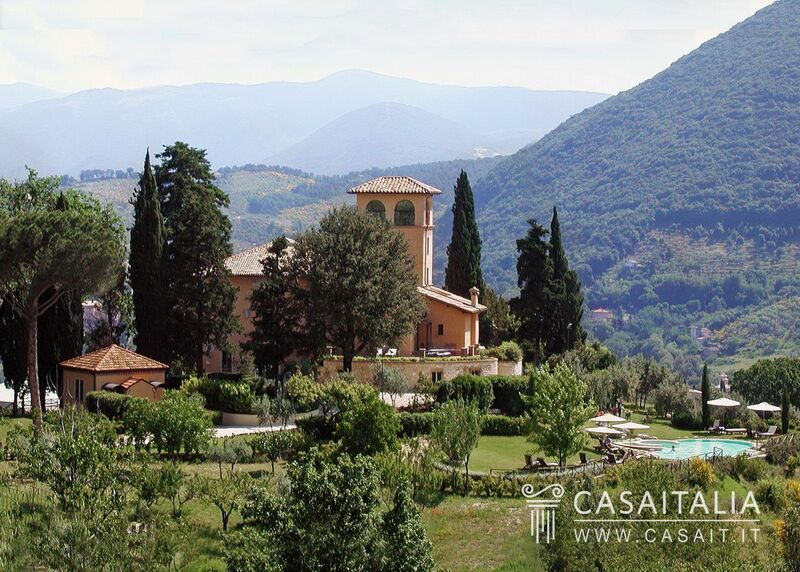 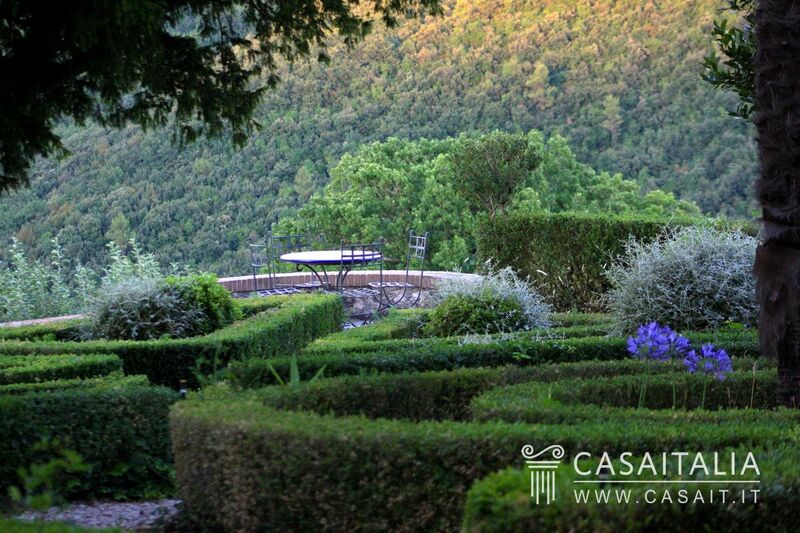 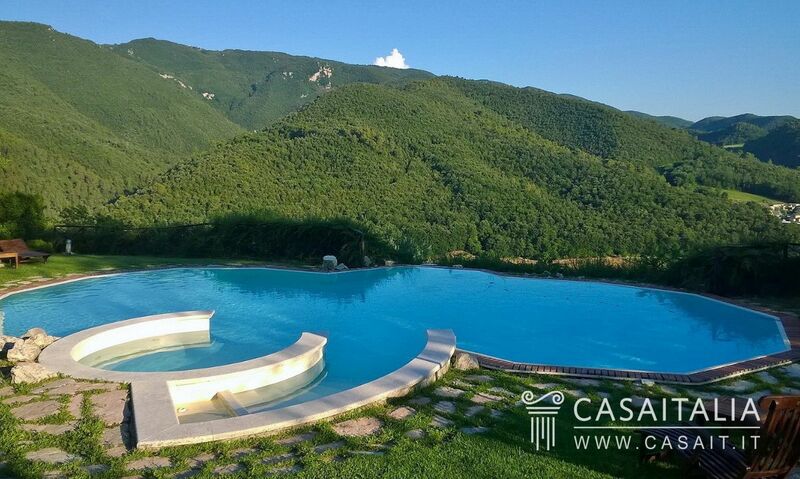 Period villa with towers, in a panoramic location just 1.4 km from the centre of Spoleto. 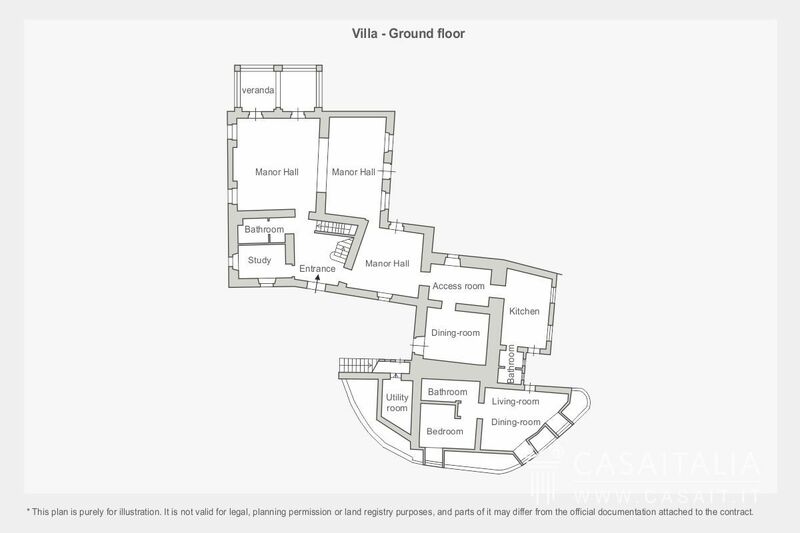 Divided into one main apartment, two further independent apartments and a guest house, with large, impressive living spaces, 13 bedrooms and 17 bathrooms in total. 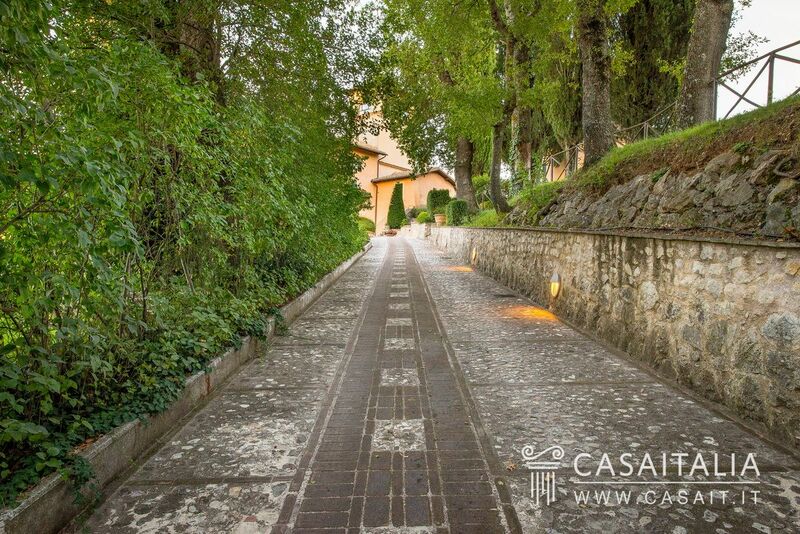 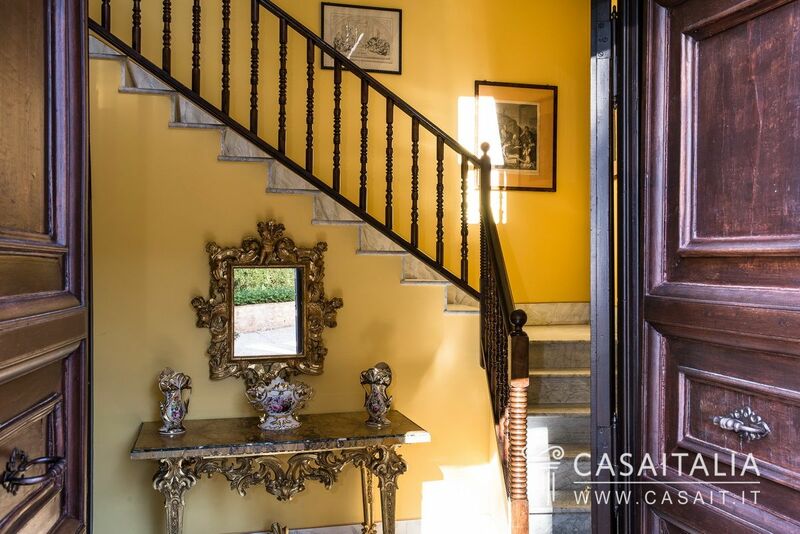 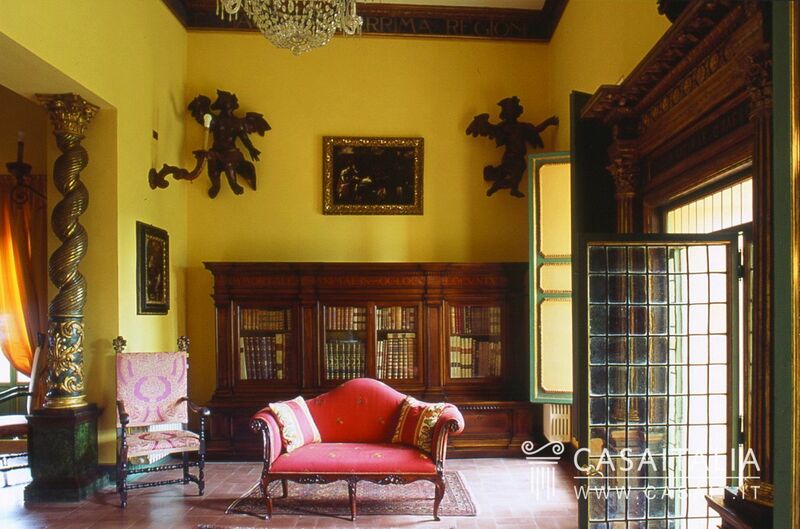 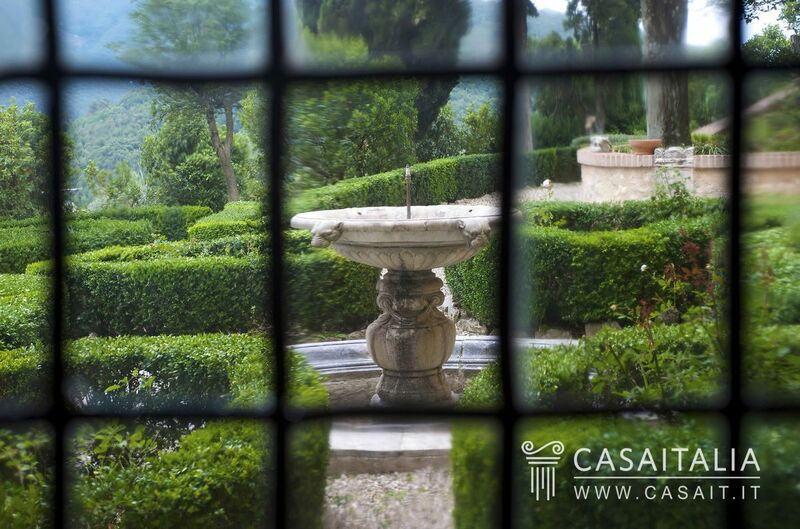 Surrounded by 9 hectares of private land with pool and Italianate garden. 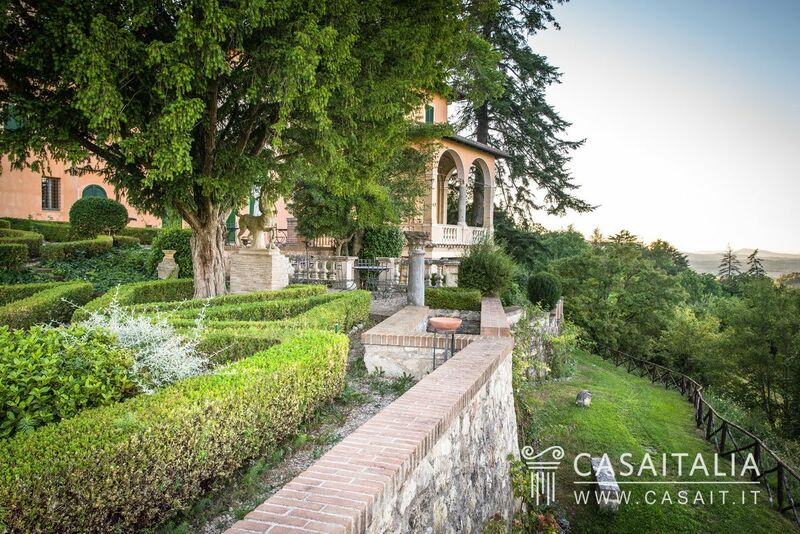 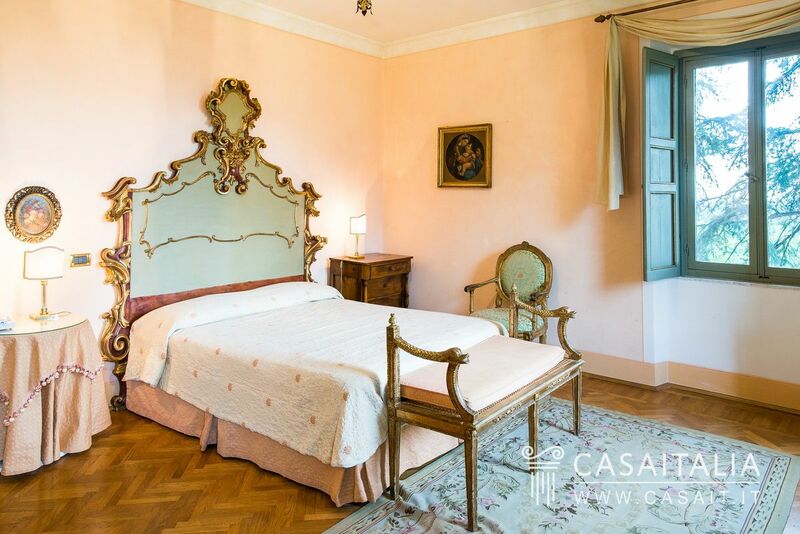 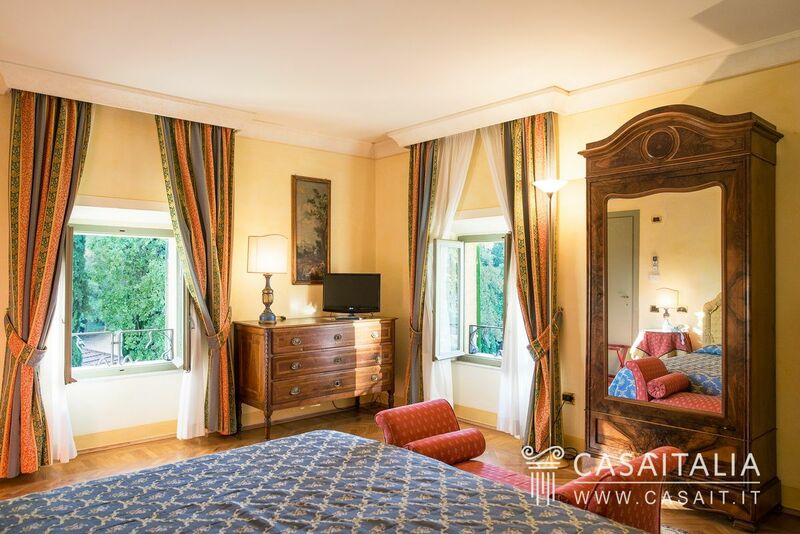 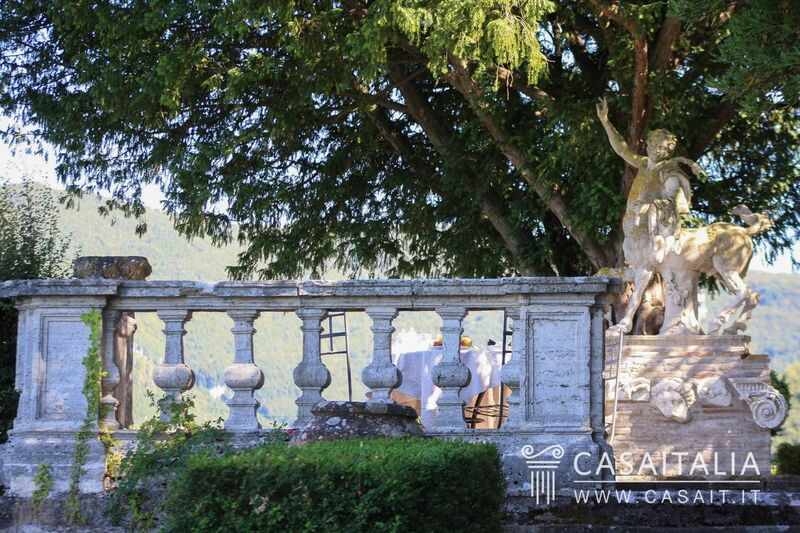 Villa Milady is a stunning period residence in a panoramic and pretty location less than 1.5 km from the centre of Spoleto. 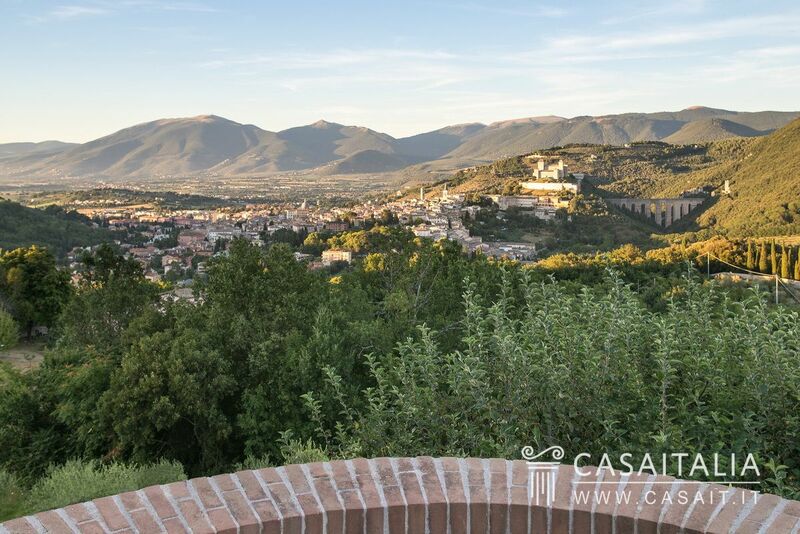 The view is magnificent, with the city and its most important monuments in the foreground, framed by the valley and the rolling green hills that surround it. 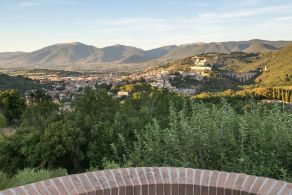 Spoleto is one of Umbria and Central Italy’s most famous and best-loved historic cities, rich in history, the venue for important international cultural events (the Festival of Two Worlds) and surrounded by nature. 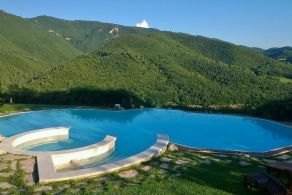 Spoleto is also an ideal departure point for visiting the region’s other historic towns: in less than an hour, you can get to Todi (43 km), Assisi (48 km) and Perugia (64 km), while in around an hour and a half’s drive, or by train, to Rome (125 km), and Florence (208 km) in a little over two hours. 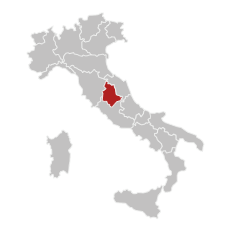 The nearest airport is Perugia, 40 minutes’ drive away (50 km), and you can get to Rome Ciampino (142 km) and Rome Fiumicino (159 km) airports in under two hours. 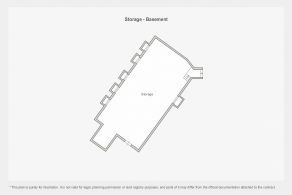 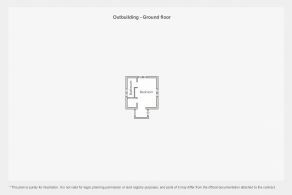 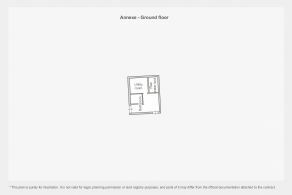 - An annex with utility areas measuring 36 sq.m in total. 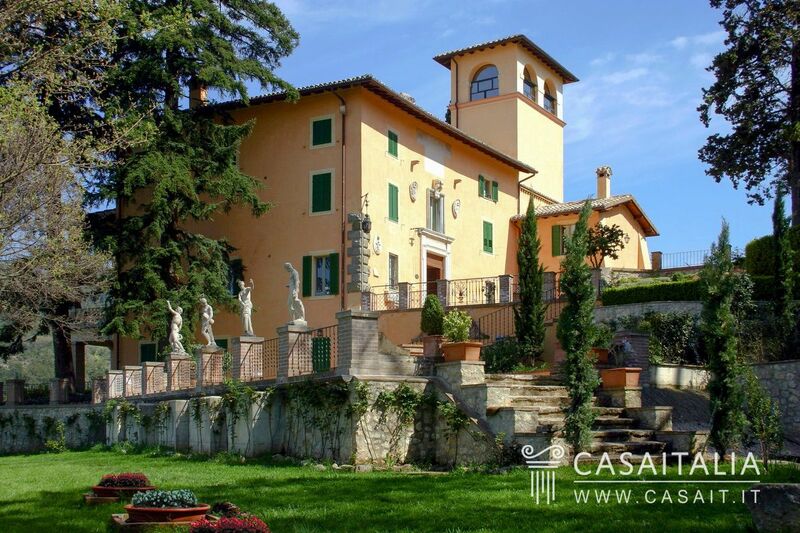 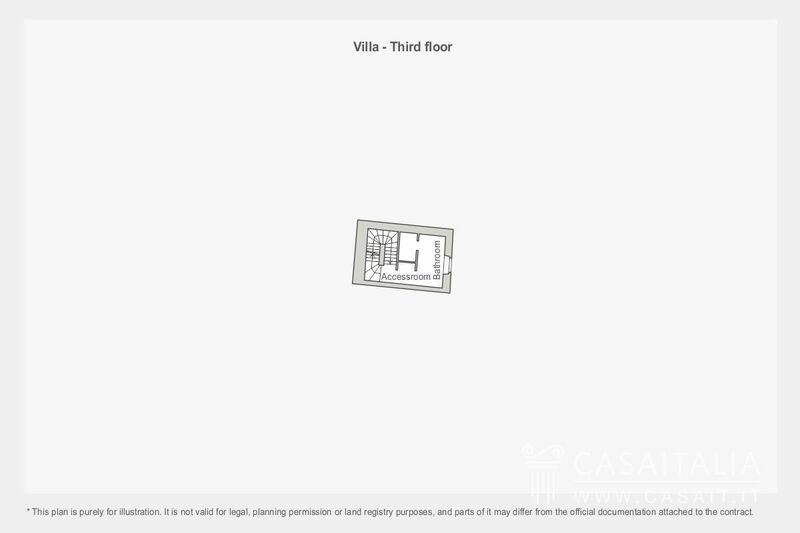 The villa has several floors, including a picturesque, panoramic tower, and houses 3 apartments. 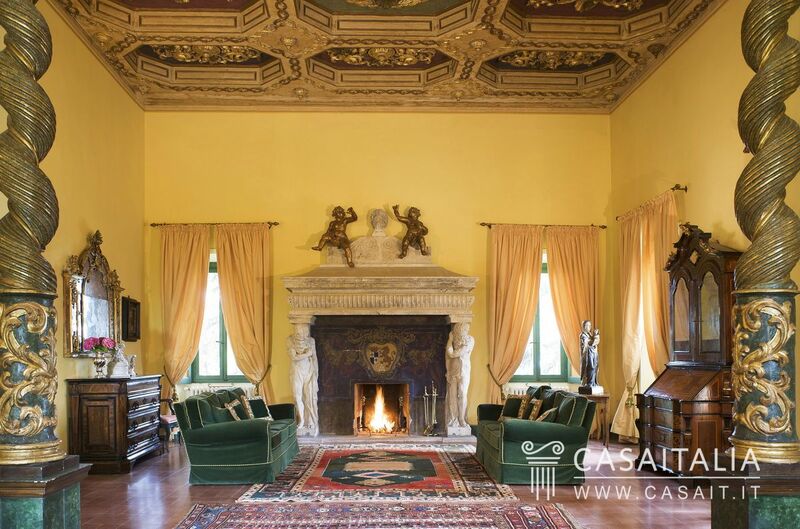 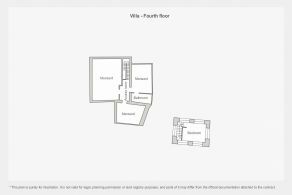 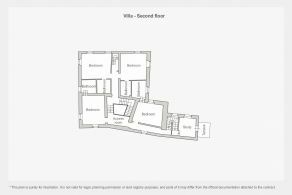 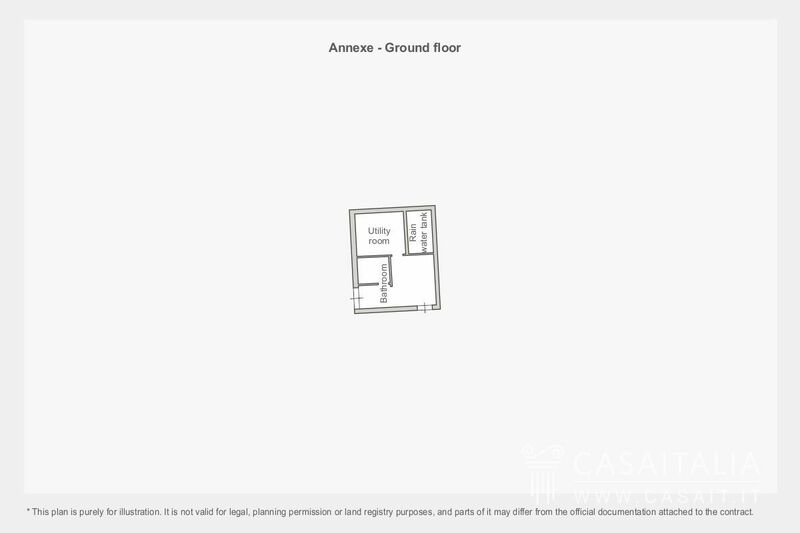 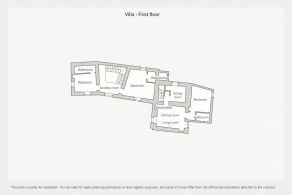 On the ground floor there are the living areas for the main apartment, with the entrance hall, a study, the sitting room, the dining room, the kitchen, a magnificen double reception room with fireplace and two guest bathrooms for the floor. 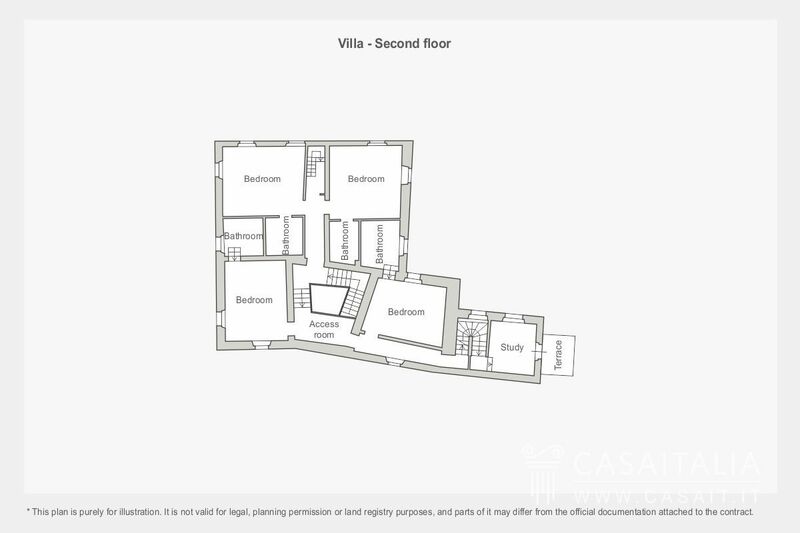 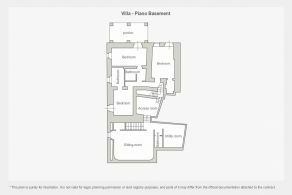 The first floor is divided into two bedrooms with en-suite bathrooms, and the second floor into a further 4 bedrooms, also with en-suite bathrooms. 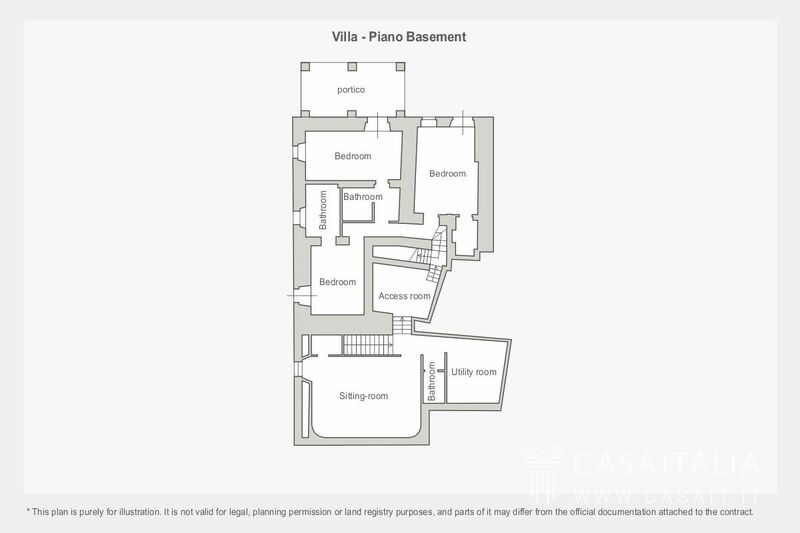 Above that there are the lofts: 106 sq.m in total, of various heights from the maximum 2.52m to 50cm. 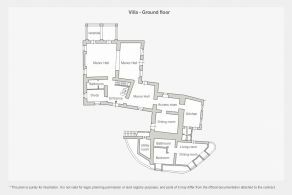 From the ground floor, you can go down one level (which, thanks to the incline of the land, is still above ground on two sides) to a small sitting room, another 3 bedrooms (one with access to a pretty outdoor porch), each with its own private bathroom, a storeroom and another bathroom. 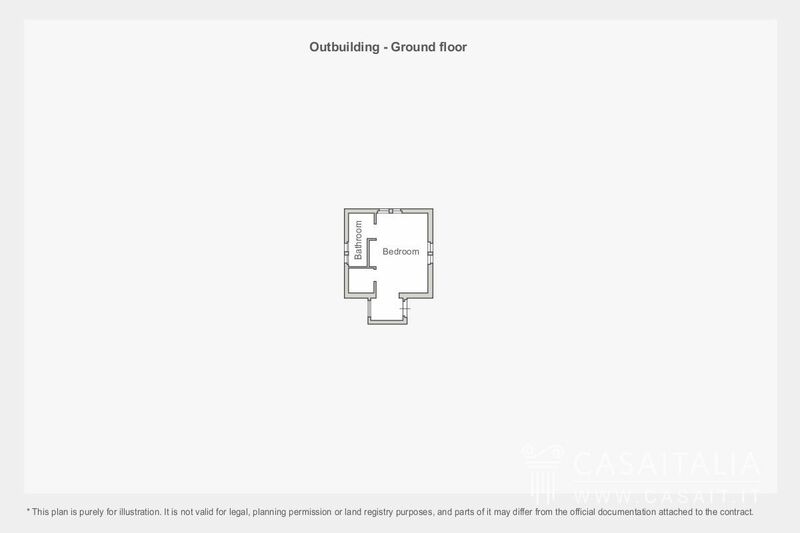 Situated on the ground floor, with kitchen/living room, one bedroom and one bathroom. 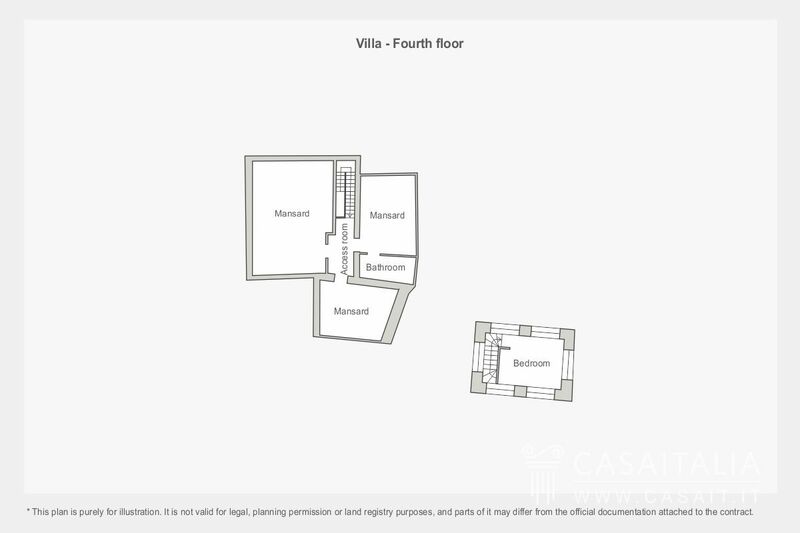 Has its own entrance on the first floor of the villa, and on this level is split into kitchen/living room, sitting room, bedroom and bathroom; going up, on the first floor of the tower there is a study/bedroom with terrace, on the second floor the bathroom, and on the third and final floor a pretty, panoramic bedroom with windows on all 4 sides. 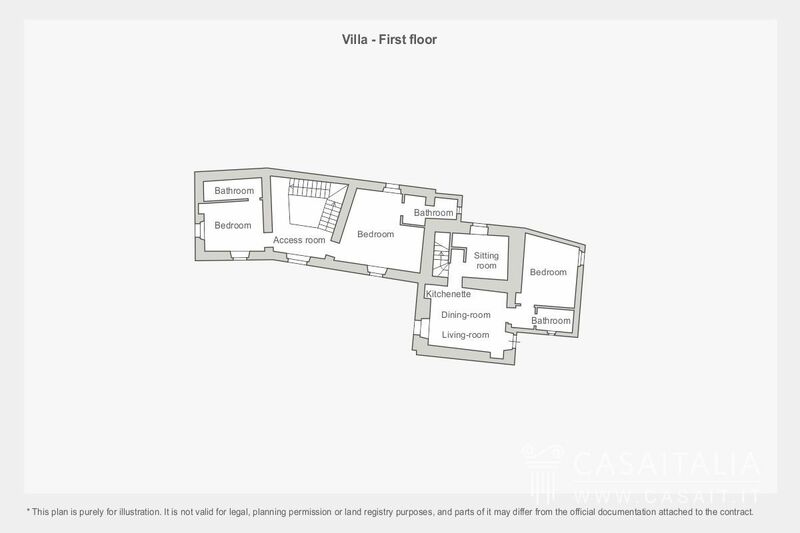 Not far from the villa, with just one floor, there is a bedroom with bathroom and walk-in wardrobe. 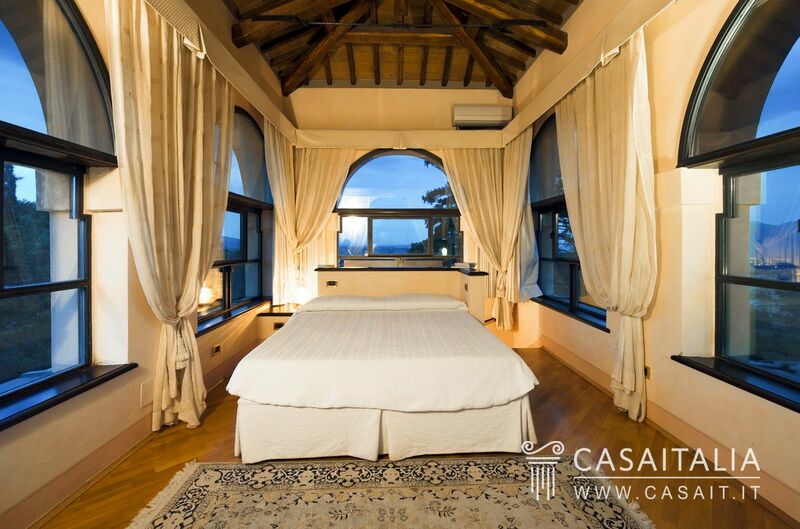 Built on the basement floor, it is also accessible from inside the villa and comprises one large room. 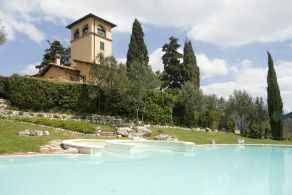 Situated next to the pool, with a storeroom, bathroom and technical area inside. 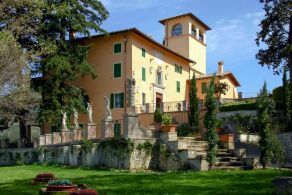 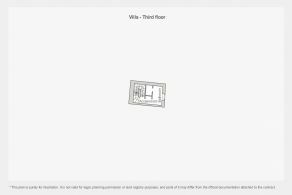 Villa Milady is in good condition. 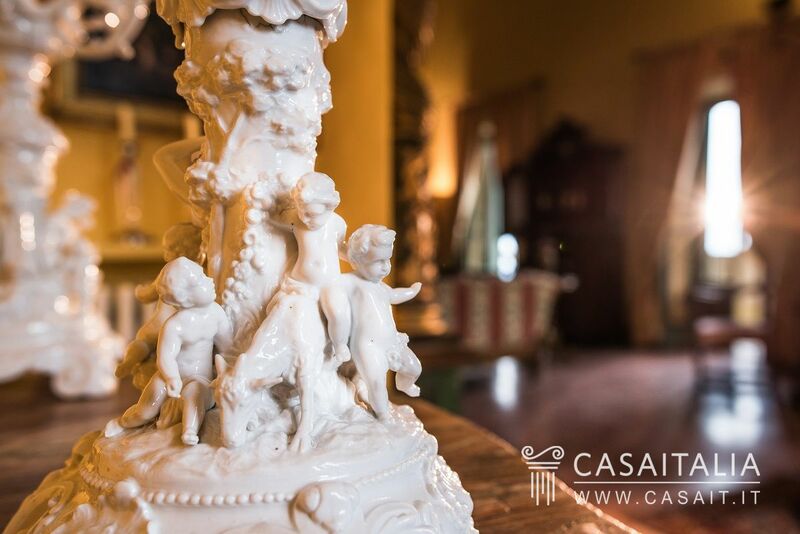 Built in the 1800s, it has been constantly restored and maintained and in recent years was used as an impressive venue for events or as high-end tourist rental accommodation. 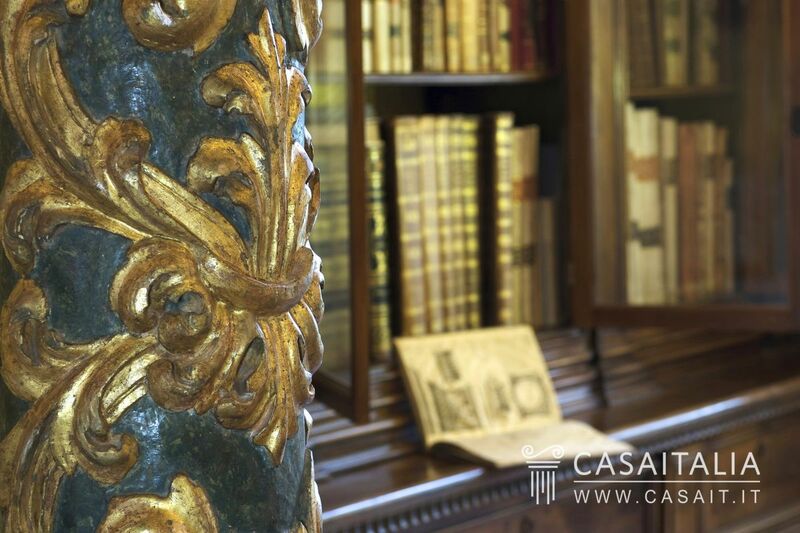 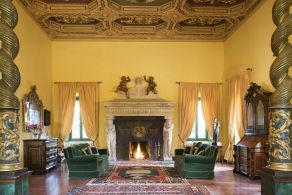 Inside, you can see architectural details, materials and finishings which attest to the elegance and splendour of the property: the marble floors, the double reception room with its large stone fireplace, a coffered ceiling with aristocratic coat of arms, spiral columns dating from the renaissance, and original tiled floors. 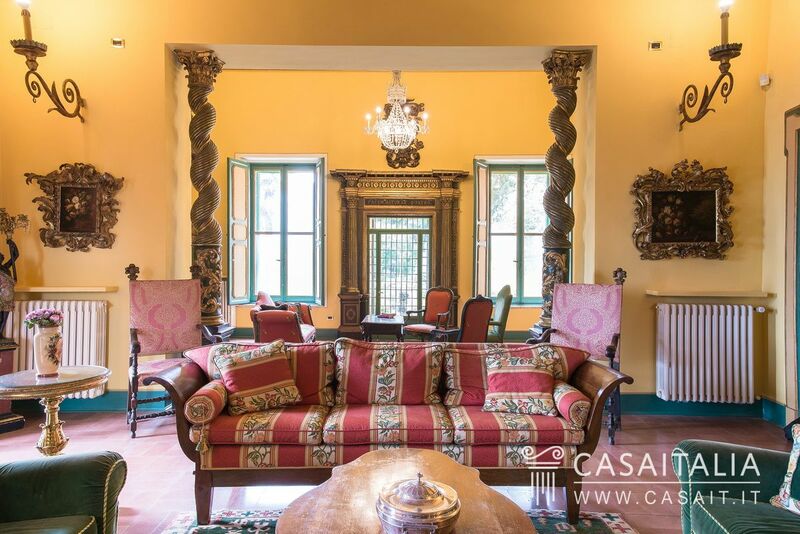 The villa is surrounded by around 9 hectares of private, panoramic land; some of which is grounds and the rest with lawns, woodland and olive trees. 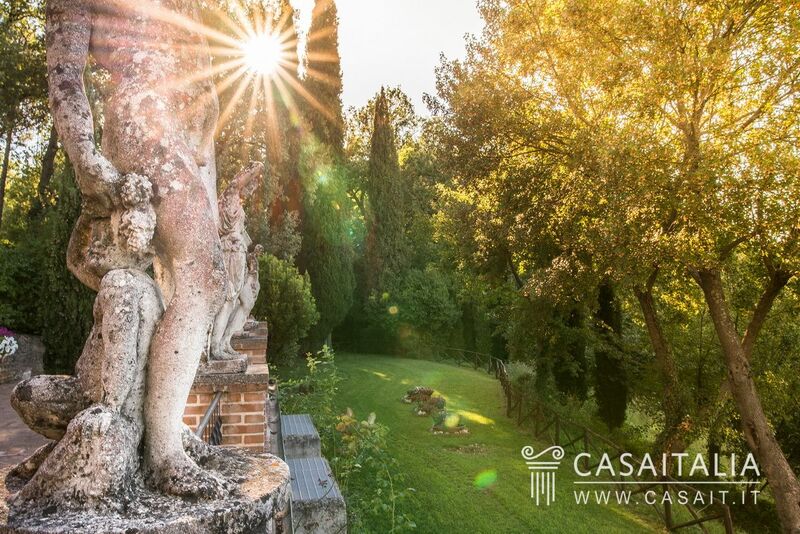 The area around the residence is full of liveable spaces, connected with walkways lined with hedges and flowerbeds: a pretty panoramic terrace, the Italianate garden, the infinity pool, the pine grove and the landscaped lawn. 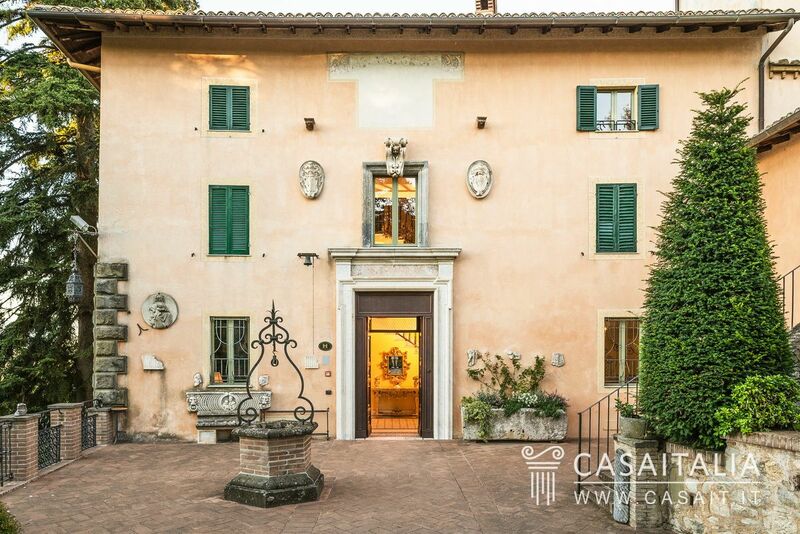 Ideal both as an events venue and as an impressive private residence, Villa Milady is the perfect property for those looking for complete privacy, while still being close to a vibrant city with a lot of events, with all the necessary amenities. 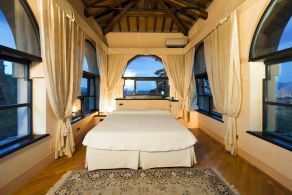 The location, central in relation to Central Italy’s main historic cities and well-connected, also makes the villa perfect as a main home or for spending long, relaxing holidays.